The attack was immediately dubbed terrorism by Prime Minister Jacinda Ardern, as she guided a shocked nation on one of its "darkest days"
A right-wing extremist who filmed himself rampaging through two mosques in the quiet New Zealand city of Christchurch killing 49 worshippers appeared in court on a murder charge Saturday. At least two Jordanians were among the dead, according to that country's foreign minister, while Pakistan foreign ministry spokesman Mohammed Faisal said five citizens of his country were missing. 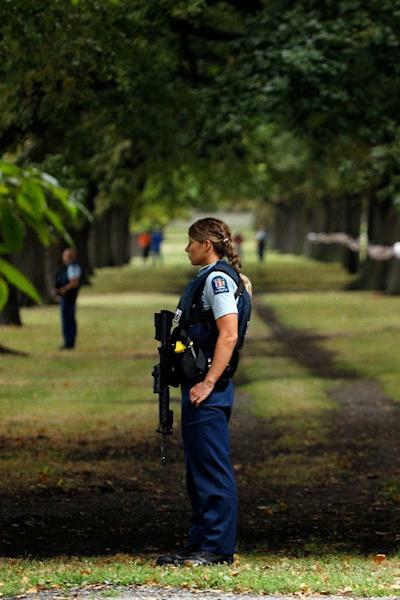 Ardern described the spree killing as a terrorist attack and said the shooter -- who was not on any watchlist and did not have a criminal record -- had legally purchased the two semi-automatic weapons, two shotguns and lever-action gun he used. "The offender was in possession of a gun licence" obtained in November 2017, and he started purchasing the weapons the following month, she said. "While work is being done as to the chain of events that led to both the holding of this gun licence, and the possession of these weapons, I can tell you one thing right now -- our gun laws will change," she vowed. The suspect documented his radicalisation and two years of preparations in a lengthy, meandering and conspiracy filled far-right "manifesto". 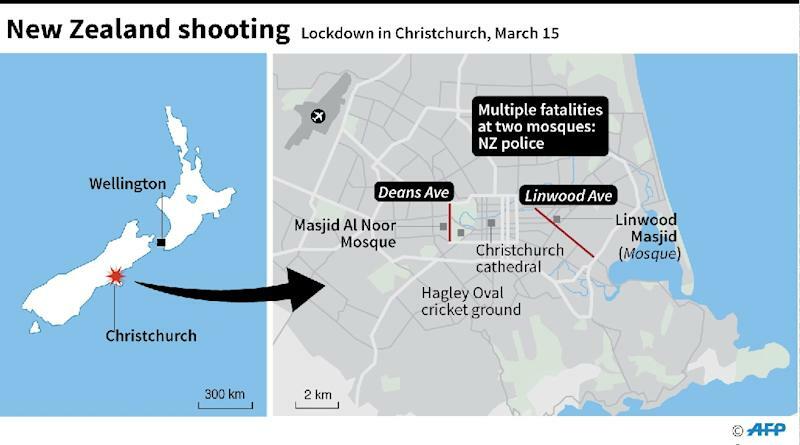 The shooter's two targets were the Masjid al Noor mosque, where 41 people were killed, and a second, smaller mosque in the suburb of Linwood, where seven more died. The remaining victim succumbed in hospital. "I heard three quick shots, then after about 10 seconds it started again," said the man, who did not wish to be named. 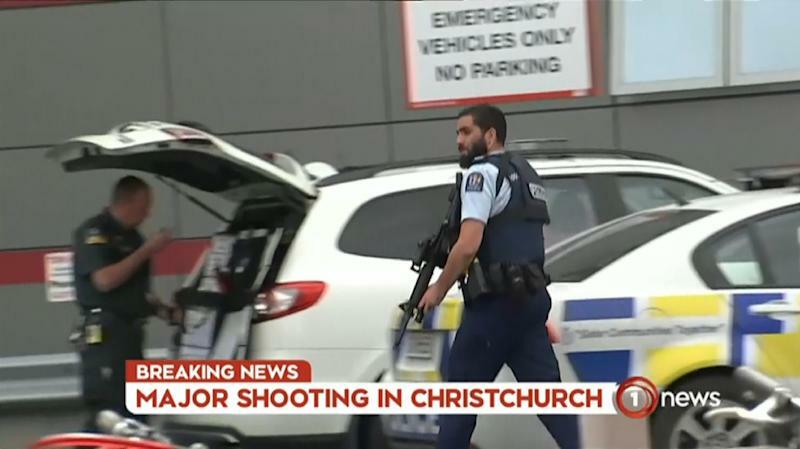 New Zealand police described the footage shot by the gunman -- which AFP has verified, but is not distributing -- as "extremely distressing" and warned web users that they could be liable for up to 10 years in jail for sharing such "objectionable content". One witness told news website Stuff he was praying when he heard shooting -- and then saw his wife lying dead on the footpath outside when he fled.